Where LIFE is everything it should be! What’s life like at Harpers Mill? These amenities aren’t just for the kids! Both young and old will make new friendships to last a lifetime here at Harpers Mill! In the mood for a quiet walk to relax from the day's excitement? Did you know top ranked Winterpock Elementary is in the community? You can even walk your kids to school every day! Harpers Mill children attend Cosby High School – one of Virginia’s best! Harpers Mill is less than 2 miles from everything Hull Street has to offer – grocery stores, restaurants and more! Stay fit and healthy in Harpers Mill! 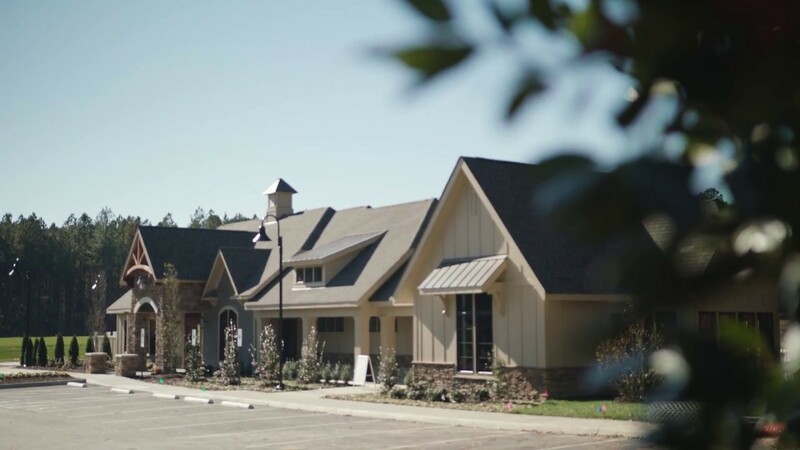 Harpers Mill is also home to Swift Creek Family YMCA – the area’s newest athletic center! A new section of homes with private yards, walking distance to the new clubhouse, pool, sports field and elementary school. From the low $300s! Our Premier Series homes in the most private section of Harpers Mill where mature trees & walking trails signify that you're home. From the $360s! Welcome to Harpers Mill, a vibrant new community with world-class amenities, top-ranked schools and located just 25 miles from Downtown. Ryan Homes is privileged to build new homes for people just like you in two different sections of Harpers Mill: Amington and Forge Gate. Perfect for building your first home – this section offers new homes from the low $300’s, making it the most affordable new construction anywhere in the Cosby High School District! Harpers Mill is conveniently located just west of the intersection of Rt. 288 and Hull Street Road in Moseley, VA. The Hull Street Corridor boasts shopping, dining and plenty of entertainment! Enjoy Panera Bread, Bonefish Grill, Starbucks and Commonwealth 20 CinePlex and so much more... all less than 5 miles away! For those who love the outdoors, there is so much to offer. Go fishing on the Swift Creek Reservoir, or enjoy nearby Pocahontas State Park with over 80 miles of walking trails. Enjoy living walking distance to Winterpock Elementary in the award-winning Cosby High School district! Over 240 acres of designated park area is planned in Harper's Mill! Enjoy the brand new resort-pool complete with a competition-sized lap pool and splash area! Harpers Mill is conveniently located just west of the intersection of Rt. 288 and Hull Street Road in Moseley. The kids will love socializing at the Club Park playground! A proposed dog park is the perfect place to let your fur baby run, play, and make new friends! Enjoy morning jogs on over 25 miles of walking/biking trails! Merge onto VA-288 S toward US-360/I-95/Amelia/Chesterfield.